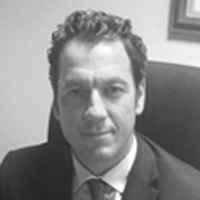 Mr Demetrios Iatrides is Partner and co-head of our Corporate Practice. He specializes in Corporate, Contract, Banking, Investment and European Union Law. His recent work includes mergers and acquisitions, public procurement and projects, project finance and public contracts, due diligence, share purchase agreements, counseling, negotiation and handling of business contracts and legal advice on financing. His fields of expertise cover a wide spectrum, attained through diverse business portfolio: food industry, health industry, defense industry, energy, sports, tourism and hospitality, broadcasting and media. After graduating from Athens College, he studied Economics and International Relations at Brown University in the United States and, Law at the University of Edinburgh in Scotland, United Kingdom. He gained a Masters Degree in Applied Economics and Finance, and later, an MBA at the Athens University of Economics and Business. He also completed the Harvard University Kennedy School of Government ‘Public Leaders in Southeast Europe’ Program. He started his professional career working in the banking sector in bond issuance and in money markets in Greece and in Great Britain. He worked in the Organising Committee for the Athens 2004 Olympic Games, first, as Sports Finance and Human Resources Manager and, later, as Venue Manager. Mr Iatrides served in a series of executive and advisory government posts. In particular, he served as adviser in the Greek Parliament, in the Public Broadcasting Company and, also, as special adviser to the Minister of Health, the Minister of National Defense and the Minister of Foreign Affairs. Between 2013 and 2015, he served in Government as Special Secretary for Community Resources and Infrastructure, efficiently managing, supervising and monitoring European funds and infrastructure projects. Mr Iatrides demonstrated an excellent track record in a variety of sectors and size of projects. His management experience extends in public and private sector projects with decision-making power as well as consensus-building among multiple stakeholders. Furthermore, he gained top-level experience in international and European Union negotiations as leader or member of delegations. His expertise of operating in diverse environments is backed by his multi-discipline education at top academic institutions. Judge, Greek Export Forum 2013, 2014.